One of the most important, yet easiest ways to keep your New Holland LS140 Skid Steer, New Holland LS150 Skid Steer, New Holland LS160 Skid Steer, or New Holland LS170 Skid Steer, working hard is to be sure you have a good set of tires under your machine. Not only does a good set of tires help you be more productive, but also helps keep the operator safe when working on hills or rocky terrain by reducing the chances of a tire blowout. 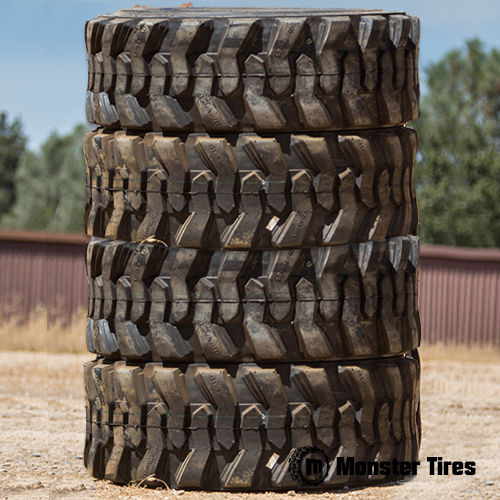 Contact Monster Tires today or simply click add to cart to order your set of New Holland Skid Steer Tires today.